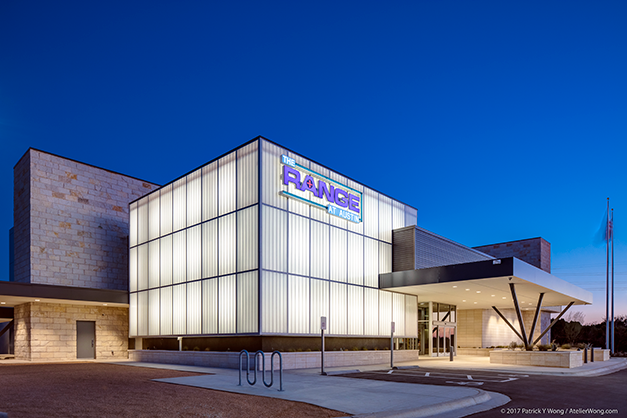 The Range is a state-of-the-art precision shooting range in Austin, Texas. 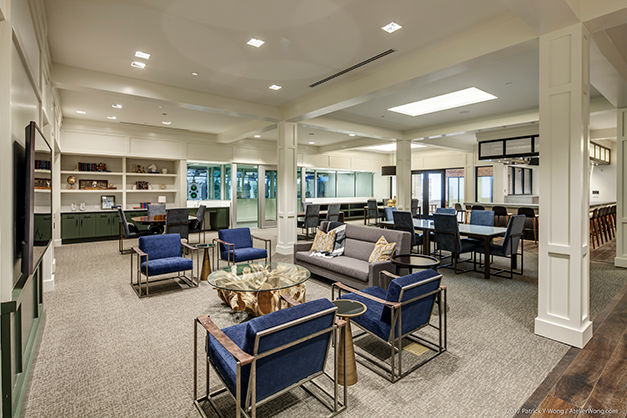 The 52,000 square foot facility is an integrated entertainment venue featuring 5 indoor shooting ranges, a VIP lounge, private meeting rooms, a billiard room, and a walk-in humidor. Safety features were a primary concern in the design. The walls are 7.25-inch concrete panels and the ceiling includes an AR-500 ballistic steel baffles system. The facility also features an advanced HVAC system to filter out lead particles. A full air exchange occurs every 85 seconds. Structures engineered several unique features for this two-story tiltwall building. The entrance canopy has long overhangs and is supported by a pair of “V” shaped columns on only two sides. The building features 99 concrete tiltwall panels carefully coordinated to fit together based on size, openings, and connections. Many of the panels were creatively connected at multiple locations to produce the geometric layout of the walls. 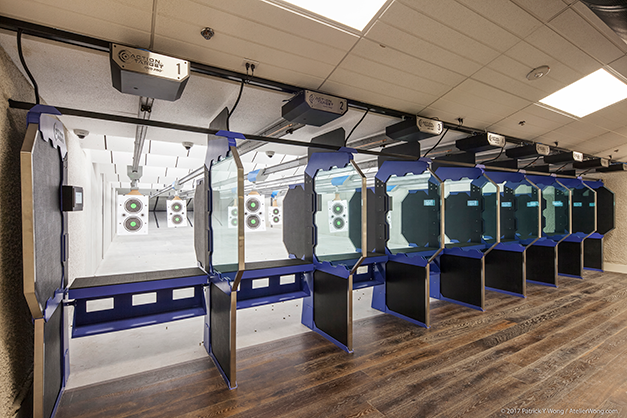 The design of the tiltwalls and steel roof framing was coordinated with Action Target, a leader in gun range equipment design, to provide structural support for the equipment on the interior of the firing ranges.